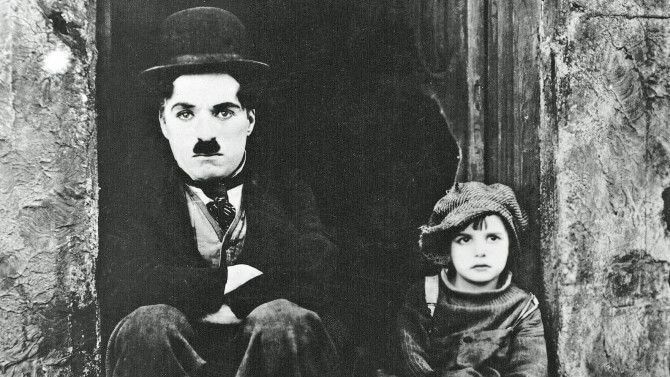 SUPERPROD adapts Charlie Chaplin’s masterpiece « The Kid » with FilmNation, Bidibul Productions and Big Beach. Superprod (France), Bidibul Productions (Luxembourg) and Big Beach (US) have teamed up to create an original animated feature film project based on Charlie Chaplin’s classic characters and storyline “The Kid “. The film will be co-directed by Christian Volckman and Rupert Wyatt and written by Christian Volckman, Boris Starling and Rupert Wyatt. Marc Turtletaub and Peter Saraf will produce the film for Big Beach alongside Clément Calvet and Jérémie Fajner for Superprod (who recently produced the Oscar-nominated film THE SONG OF THE SEA) and Lilian Eche and Christel Henon for Bidibul Productions . FilmNation Entertainment will distribute the film internationally, which will be its first foray into the world of animation. Christian Volkman initiated the project. He previously directed the film RENAISSANCE with Daniel Craig for MIRAMAX and Onyx Films. In 2008 his co-director Ruper Wyatt directed his first film, THE ESCAPIST, which was acclaimed at Sundance, and continued with the blockbuster THE PLANET OF THE MONKEYS, REVOLUTIONS for Twentieth Century Fox, whose 2D and 3D special effects were mixed to motion capture animation. He is currently supervising the post-production of the science fiction film CAPTIVE STATE he directs for Focus Features, Amblin Entertainment and Participant Media. Boris Starling is a well-known journalist and best-selling author, he recently premiered the Messiah prime time series for BBC 1. UTA Independent Film Group will be in charge of sales in North America. This project is the third collaboration between Superprod, Bidibul Productions and Big Beach on an animated film: an adaptation of CROC BLANC, based on Jack London’s famous novel, is currently in production and a sequel is under development. Created in 2004 by Marc Turtletaub and Peter Saraf, Big Beach produces and finances independent films, television programs and plays. Since its inception the company has produced over a dozen films including Oscar-winning LITTLE MISS SUNSHINE, EVERYTHING IS ILLUMINATED based on Janathan Safran Foer’s novel, OUR IDIOT BROTHER by Jesse Peretz, JACK GOES BOATING, the first film by Philip Seymour Hoffmans, Colin Trevorrow’s SAFETY NOT GUARANTEED by Colin Trevorrow, THE KINGS OF SUMMER by Jordan Vogt-Roberts. Recent productions include THREE GENERATIONS with Naomi Watts, Elle Fanning and Susan Sarandon, and LOVING, directed by Jeff Nichols, with Ruth Negga (Oscar nominee) and Joel Edgerton. FilmNation Entertainment is a leading distributor, financier and producer of independent films and is a destination for many of the world’s most renowned filmmakers including Steven Soderbergh, Terrence Malick, Pedro Almodovar, Woody Allen, Jonathan Glazer, Coppola Sofia, Jeff Nichols, JC Chandor, Rian Johnson, Anton Corbijn, Morten Tyldum, Lenny Abrahamson, Denis Villeneuve, and John Lee Hancock. Founded in 2008 by veteran film executive Glen Basner, FilmNation has established itself as a filmmaker with global appeal by a highly selective group of filmmakers and projects that promote both creative integrity and commercial potential. FilmNation is one of the highest-grossing independent international film distributors. The company has become a prolific and respected producer, and its titles are among the most critically lauded in the film industry. FilmNation has more than 40 Academy Award® nominations and eight wins since its inception. Since 2015, FilmNation has produced and financed six films including: Denis Villeneuve’s Academy Award® nominated feature ARRIVAL starring Amy Adams and Jeremy Renner; John Lee Hancock’s THE FOUNDER starring Michael Keaton; and the Jessica Chastain starrer MISS SLOANE. The company also produced GIFTED starring Chris Evans, THE SENSE OF AN ENDING starring Jim Broadbent, and financed THE BIG SICK starring Kumail Nanjiani, which premiered at the 2017 Sundance Film Festival. FilmNation is currently in production on Dan Fogelman’s LIFE, ITSELF, featuring Oscar Isaac, Samuel L. Jackson, Olivia Wilde, Antonio Banderas and Annette Bening. FilmNation’s line-up showcases the work of many of today’s most exciting filmmakers including Todd Haynes’ WONDERSTRUCK, which is premiering an official selection of the 2017 Cannes Film Festival; and Sebastian Lelio’s DISOBEDIENCE starring Rachel Weisz and Rachel McAdams, which FilmNation is also co-financing with Film4.